Former Paradox CFO Andras Vajlok has joined the board of directors of Swedish studio Like A Boss. The Stockholm-based mobile studio is just the latest board seat for the six-year Paradox veteran, following an appointment to the board of Small Giant Games and Resolution Games. Vajlok stepped down as CFO of Paradox in August last year, looking to move on to a new set of challenges. 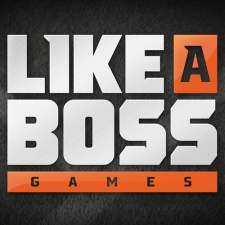 Like A Boss was founded in 2015 and develops mobile sports titles in collaboration with various brands. The studio plans to announce a partnership with a “world-class footballer” early next month. “Andras is a dream collaborator for us. Our goal is to build one of the leading mobile, sports games studios and having Andras’ experience and know-how will be invaluable to us”, said CEO and founder Alex Aguilera. Vajlok joins Aguilera on the Like A Boss board alongside Mika Lepistö, Torsten Söderberg, and Daniel Laurén.